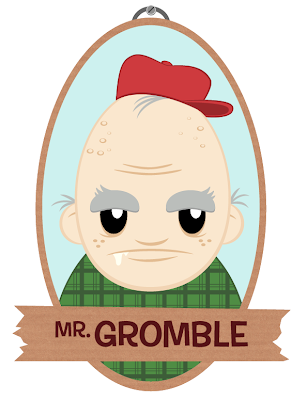 I created this old guy from a word that a couple of my co-workers came up with. Dingus. It came to them while wandering around in Home Depot, so I took those idea's and created the old and ornery Mr. Gromble! He would smack you in the head with his cane if you could see it!